What comes to mind when you are asked about typical Portuguese dishes? Bacalhau (cod), and the many different ways it can be prepared? Chicken with “piri piri” spicy sauce? 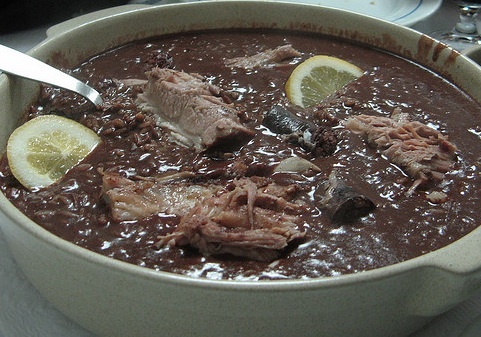 Soups, grilled fish or cozido Ã portuguesa (a stew of different meats and vegetables)? Or a desert such as the tasty custard tarts called “pastÃ©is de BelÃ©m”? Well, today we present to you a simple sandwich that any local you care to ask would say is typically Portuguese – the “bifana”. The bifana is so popular in Portugal that McDonalds here have even launched the McBifana in recent times. So what is it? Basically a slice of pork steak in a roll of bread, the pork having been lightly sautÃ©ed, sometimes with garlic and/or other spices, so that the meat is warm and juicy. The bread roll is usually distinctly crusty, puffy and floury, and the whole thing is often eaten as a snack for lunch, sometimes with a bowl of soup. 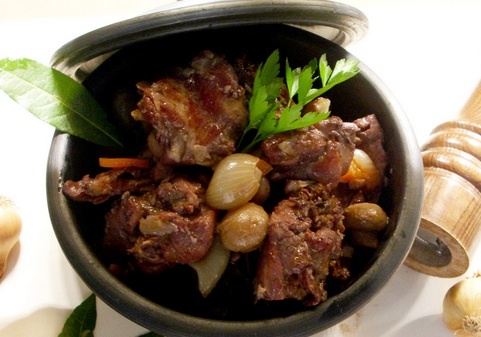 The Alentejo region of Portugal is well-known for the quality and variety of its gastronomy, and it is said that the bifana originated here in the town of Vendas Novas. Most locals will tell you that the best bifanas are from this area, and supposedly they are a cut above those made elsewhere. The Bifana de Vendas Novas then, is made from select pork fillet and is marinated and then cooked in a secret sauce. The bread roll is lightly toasted which, together with the special sauce and juicy meat, makes this a truly delicious and appetizing snack. If you want to try the famous bifana from Alentejo, it’s no longer necessary to visit Vendas Novas, you can sample this tasty sandwich right here in Lisbon. Almost any cafÃ© or bar will have bifanas on the menu, but if you want to try the one from Vendas Novas, go to the Bifanas de Vendas Novas kiosk in the Colombo mall in Benfica, one of Portugal’s largest shopping centres. Here you can try the original (and supposedly the best) bifana, together with other traditional dishes and soups. The worldâ€™s largest open-air dinosaur park is about to be created north of Lisbon in the town of LourinhÃ£. This is one of the richest areas on the planet when it comes to dinosaur fossils (including the biggest collection of dino eggs), so in addition to a leisure destination it will also be something of a museum scientifically recreating the Jurassic habitat. It will have over 200 life-size models of the creatures that once ruled the Earth, spread over 2.5km of woodland. A central building will be an actual museum presenting the important collection of fossils and will include a restaurant and an auditorium. The project costs 10 million euros, and if that comes as a surprise at a time when Portugal is being one of the victims of the euro crisis, it should be noted that this comes from private investment, in part from a German company. 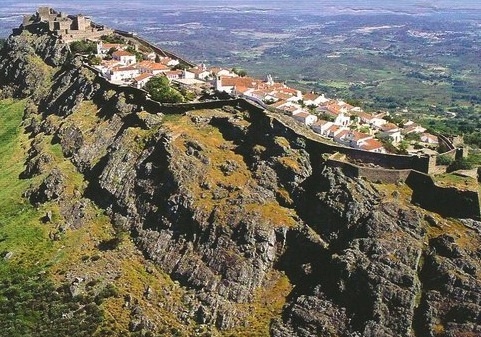 Studies show the park will be profitable with just over 135,000 visitors per year, something quite achievable when considering that the village of Obidos nearby attracts 2 million people every year. If everything goes as planned, the â€œdinoparkâ€ can be ready by late 2013. Every culture has them: Foods that only a local could love. In case youâ€™re brave and curious enough to try new things, or prefer to be informed of what can be avoided, here are the ten strangest foods in Portugal. 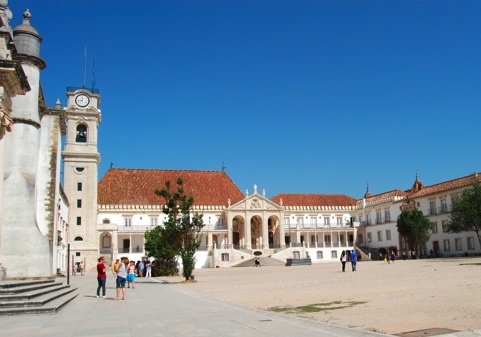 Recently a tourist reported an experience at a restaurant in a Portugal Pousada where a waiter explained what the â€œarroz the cabidelaâ€ listed on the menu was like. He correctly described it as rice soaked in chickenâ€™s blood, and the facial expression of the tourists reacting to that description must have surprised the waiter because he quickly added â€œwith chicken!â€ as if that made it sound any better. Yes, itâ€™s a bloody good delicacy if youâ€™re familiar with it, but for anyone hearing about it for the first time, itâ€™s understandably disgusting. And the cooking process is even more disturbing: After the chicken is killed, it hangs upside-down for the blood to be drained out. Itâ€™s then added to the meat when itâ€™s cooking, giving the dish a brownish color. 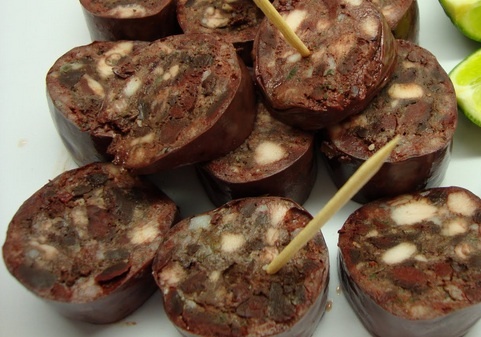 At this point youâ€™re probably thinking thereâ€™s something vampirish about Portuguese cuisine, but hereâ€™s one more bloody food: Morcela, a sausage made with blood! This type of sausage actually exists in several cultures in almost every continent, and the Portuguese version is mostly meat-free. It varies from region to region, but is always filled with rice and pigâ€™s blood. In some cases, pieces of pork are added. 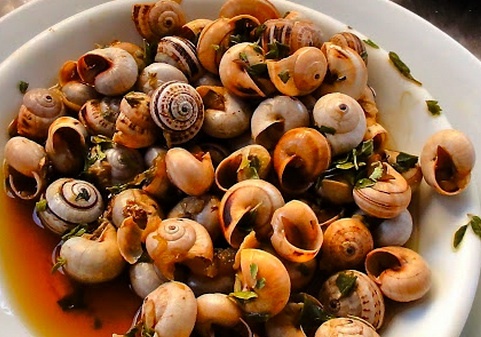 The French call them escargots and have turned them into something of â€œhaute cuisine.â€ In Portugal theyâ€™re â€œcaracois,â€ also meaning snails and are eaten mostly in the south of the country. For whatever reason the people in the north are not fans, but itâ€™s a favorite dish on a sunny summer afternoon in Lisbonâ€™s cafÃ©s and restaurants. In reality, what its devotees really like is the stew theyâ€™re cooked in, and not exactly the tiny wormy shelled mollusks that you can barely taste. There are some who say that a rabbitâ€™s flesh is the closest to that of a human. Many may agree and may wish to avoid eating what in some cultures is a beloved family pet. In other countries itâ€™s a wonderful meal, including in Portugal. 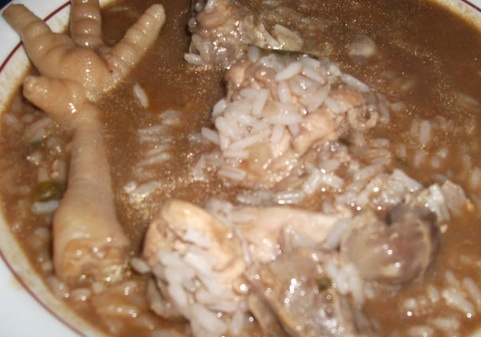 Itâ€™s made popular by hunters, and is most often accompanied by rice or potatoes in a dark sauce. 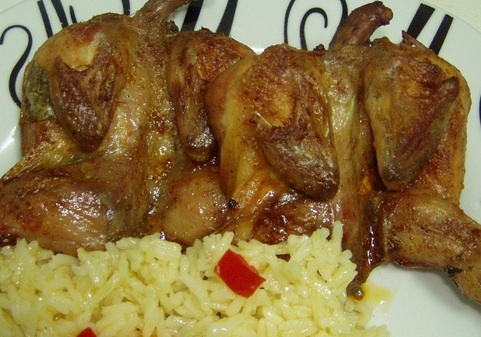 Quail is definitely not unique to Portuguese cuisine but itâ€™s another favorite of Portuguese hunters. While mostly served at home, you can find them listed on menus of restaurants in the interior of the country. Theyâ€™re usually cooked and served whole, leaving the job of cutting the wings and legs for you on the plate. Itâ€™s one of Portugalâ€™s most historic dishes but also one of its least appetizing. When Prince Henry the Navigator asked the people of the city of Porto to provide food for the men going into the sea, they gave all their meat and ended up with only the animalsâ€™ stomachs. Out of necessity they had to create meals out of them, and so was â€œPorto-Style Tripeâ€ born. 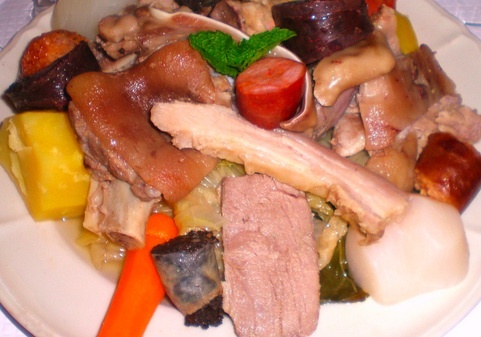 Tripe is also present in French, Italian and Eastern European cuisines, and Portugalâ€™s version includes pieces of sausage and beans. 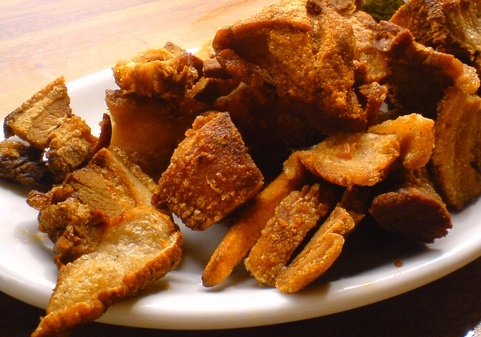 This cholesterol-filling delicacy is made of pig skin and fat. Itâ€™s cut into small pieces and fried until it becomes crunchy. 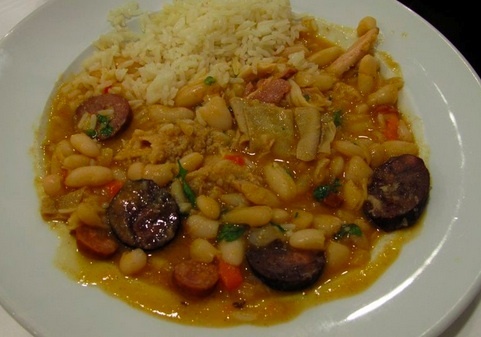 The Portuguese took this tradition to Brazil, becoming quite popular in the northeast of that country, often served with beans. At the risk of receiving hate mail from the most patriotic Portuguese, weâ€™re going to include one of the most emblematic dishes of the country on this list. This national specialty mixes a variety of vegetables, sausages and meats, and itâ€™s the choices of meats that may be a problem for some. It seems that no single part of a pig goes to waste in Portugal, and this dish often includes a nice crunchy ear with tiny hairs. If thereâ€™s no ear, you just may find a foot. 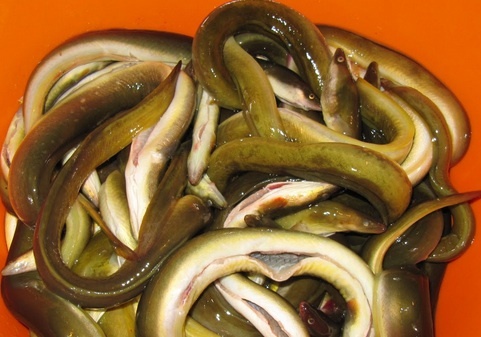 The Portuguese donâ€™t eat snakes but they do enjoy the snakelike eels. Popular in the coastal areas of the north of the country, they are often bought alive. No matter how many spices or delicious condiments may be added, the very sight of them will make many people lose their appetite. 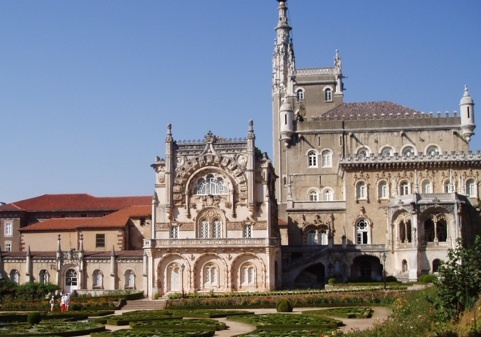 Theyâ€™re not officially on UNESCOâ€™s list, but these sites of extraordinary cultural significance could very well end up there one day, joining the 14 others in Portugal (like Sintra and Lisbon’s Jeronimos Monastery and Belem Tower). Itâ€™s one of the worldâ€™s biggest palaces and it has some singular features such as a total of six organs that are unique in the world and the worldâ€™s largest collection of church bells in addition to one of Europeâ€™s finest libraries. One of Nobel Prize author JosÃ© Saramagoâ€™s most translated novels is about the buildingâ€™s unbelievable construction (published in English as â€œBaltasar and Blimundaâ€). 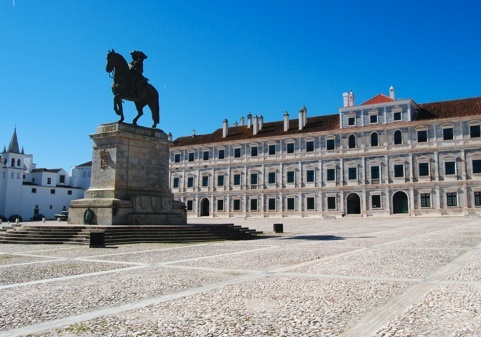 The only reason Lisbonâ€™s downtown isnâ€™t yet a World Heritage Site is because many of its buildings have reached an advanced state of decay and have been stripped of many of their original features. 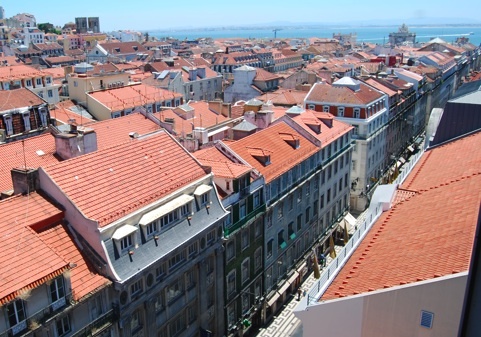 Before it can present its candidacy to UNESCO it will have to restore everything back to its original state, but even without the official recognition Lisbonâ€™s downtown is already a remarkable place. You couldnâ€™t tell by simply looking at it, but this is Europeâ€™s first urban planning project, using large-scale pre-fabricated earthquake-proof techniques that included modern sanitation. This type of grid of broad streets was later replicated in other European cities such as Paris and Barcelona. Prince Henry the Navigatorâ€™s inspirational coastline is just as mystical and mysterious today. 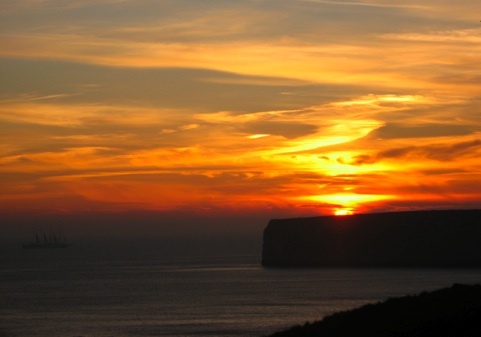 Itâ€™s Europeâ€™s southwesternmost tip and was therefore believed to be the end of the world in ancient times. Prince Henry however, wondered what laid beyond the horizon and started a project of â€œdiscoveriesâ€ that paved the way for Vasco da Gama, Magellan, Christopher Columbus and all the other famous explorers. An enormous compass believed to have been used to study navigation is still seen on the ground in Sagres today. This near-Heaven village is a fortified medieval place described by the New York Times as â€œa fairytale mirage.â€ Itâ€™s one of the worldâ€™s highest settlements, standing close to 3,000 feet up high on a mountain, all inside a wall and protected by a castle. Itâ€™s almost unbelievable how anyone chose to settle here, but youâ€™d have to have a 13th-century mentality to understand it. Itâ€™s one of the worldâ€™s oldest universities and itâ€™s quite a special one, with unique traditions associated with it over time. 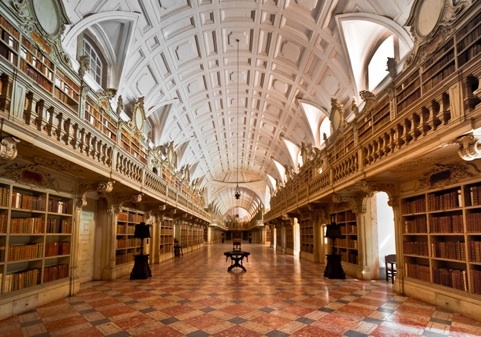 It includes one of the worldâ€™s most remarkable baroque libraries and is the most likely candidate to end up on UNESCOâ€™s list in the near future. It was one of the first forests in Europe to reunite plants from all over the world. 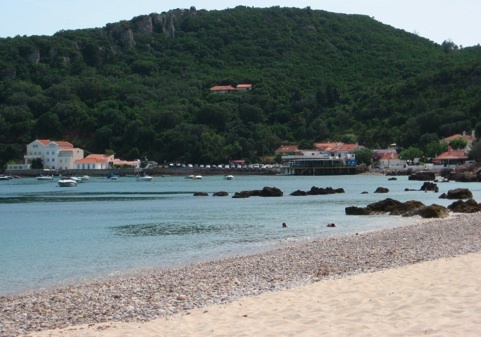 Itâ€™s also the site of one of the continentâ€™s first palace hotels, surrounded by a magical atmosphere. This isnâ€™t just another beautiful natural park. Itâ€™s one of the best places for geologists to learn about three key phases of the earthâ€™s evolution and its tectonic plates, as well as a curious landscape of Mediterranean flora thatâ€™s actually on the Atlantic, developed around 180 million years ago when it was under water. The diversity and singularity of the park in terms of vegetation distribution gives it a natural heritage unmatched anywhere in the world.